Tidying up how you keep your finances can help you get better at managing them. I think a statement that we can all agree on is that no one likes clutter, whether it is the random assortment of clothes and shoes at the bottom of our closet, or the miscellaneous papers and receipts we collect during the year. Study after study demonstrates that clutter saps productivity, makes employees less productive at work, and generally contributes to a more frazzled state of mind. This is a common fact, and it is clear that we all realize this with the annual tradition of spring cleaning, organizing our closets, and clearing out the random stuff that we have collected in the corners of our home and cars during the year. If you do not know 1) what there is, and 2) where these specific items actually are, how are you going to be able to make much progress? The exact same concept applies to personal finance, but we collectively tend to act like this is not true, or not as important to us as decluttering our closets are to our mental wellbeing and health. As a CPA I have seen this scenario play out often enough to know it is not a rare occurrence. Even with the proliferation of technology tools and applications that help us with nearly every aspect of life, the lack of organization and standardization with how we handle our finances continues to be an ongoing issue. Not being able to keep track of your finances, know where your money is going, and where you stand at any particular point in time has several negative consequences. 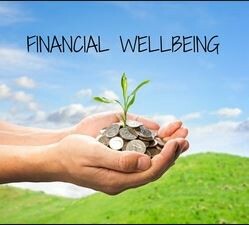 First, you obviously are not going to know as much about how you stand with regards to your personal finances, so you are not going to be able to plan as effectively for your financial future. Second, and perhaps more importantly, if you are frazzled and distracted by your financial clutter, you are not going to be able to make progress on these issues even if you wanted to do so. Technology has the potential to be a great asset in our quest to be more organized, or it be one of the biggest time wasting distractions in our lives. Taking that into account, this list includes technology related tips and tips that do not require any sort of technology. The key point to remember as you are trying to declutter your financial life and information is that you can start doing so with any of the tools you feel most comfortable using. 1) Organize your inflows — the first step to organize and declutter your finances is to make absolutely sure that you know where your money is going each month. I am not talking about expenses, however — what I am talking about is where your paycheck is going. Between direct deposits, retirement accounts, and special savings accounts you can easily lose track, so getting a handle on this is an excellent first step toward decluttering your finances. a. Mandatory expenses — your utilities, insurance, and credit cards bills are expenses that you have to pay, so you can treat these as fixed or mandatory costs. 3) Automate what you can — this is a step that you can make as technologically advanced as you want, and it really depends on what you are comfortable doing. For example, a simple step that I recommend to individuals seeking to set up a savings account for vacation or other special event is to simply contact their financial institution, set up a separate account, and have the bank automatically redirect a percentage or specific dollar amount of their savings there every month. Conversely, if you are a tech savvier individual, there are a host of apps and platforms out there to help you track and automate your finances — use them! Decluttering your finances can seem daunting at first, with all of the different possibilities and items that you have to track, while making sure not to forget any of them. That, however, is no reason why you cannot start going through your financial life and cleaning up some of the unnecessary clutter and junk today. Starting small, and focusing on the big picture pieces at the beginning, can help you jumpstart your decluttering, which will help give you better peace of mind as it relates to your finances and financial well-being.